Excellent final piece by Matthew Green (he's now moved on to report for the FT from Pakistan). the absence of "grand-scale corruption:" sometimes that's all we are asking for. Sad to learn that Matthew is leaving Nigeria as I have always enjoyed his Nigerian pieces, but I am sure he is moving on to bigger and better things -- though he should keep his head down in Pakistan (something he's probably had some practice with in Lagos). Best of luck to him. Maybe Fashola is the smartest governor of all. He's doing JUST enough to make sure that everyone will say Fashola is trying o! But behind the scenes the same grand-scale corruption is going on. Let's face it the job of fixing a few roads and erecting a few street lights is the bare minimum that should be demanded from any state governor, this is his duty and we shouldn't have to praise him for it. In reality the roads of Lagos are still a nightmare, schools and hospitals woefully substandard. We do have a couple of nice green patches though! I'm curious to know what percentage of the HUGE revenue that Lagos state accrues is actually being spent productively. I'm sure the majority is still being siphone off into Tinubu and co's already fat pockets. 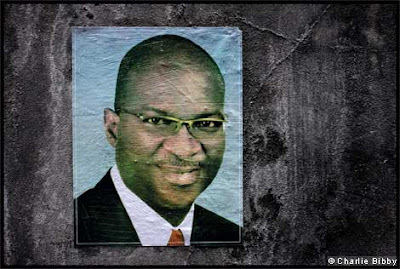 Fashola has a long way to go before he can really be touted as a great Governor. The scary thought is that the other states see, to be doing even less! Hello I Have ben following your wonderful Blog for some time now and wanted to say great Job!! You wont be disappointed...its worth the time. I enjoyed his post, i wish him the best in Pakistan. Best of luck to Matthew.